Universiti Malaysia Kelantan Library, Welcome to The Office of Library and Knowledge Management, Universiti Malaysia Kelantan. The aim of the Library is to provide the best information and reference services for our users in line with ever changing trends in information and communication technology and the current needs of the university. Also, our Library provides to maintain and develop access to library collections as a national research resource for the students, staff and research community. 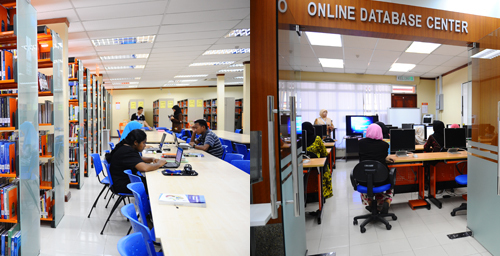 The library supports the academic programmes of our college through collections and services, which enable the students and the faculty to access, update their knowledge and information resources. This support empowers our customers to develop the information and technological competencies necessary to achieve their educational, research and professional goals. This enables them to succeed in the workforce and applies lifelong learning skills. In coming years, the library will be delivering much more user-focused and technologically sophisticated services, designed to meet the contemporary information needs of the students and the staff. Aspires to be the leading knowledge centre of entrepreneurial excellence through development of relevance collection, efficiency of information services and latest information technology empowerment. Providing the high quality resources, infrastructure and services in supporting the instructional, learning and research programs especially in entrepreneurship field.